1-2 heads of baby bok choy, cut in half lengthwise (depending on their size. Mine were a little larger than normal this time so I just did one). 2. 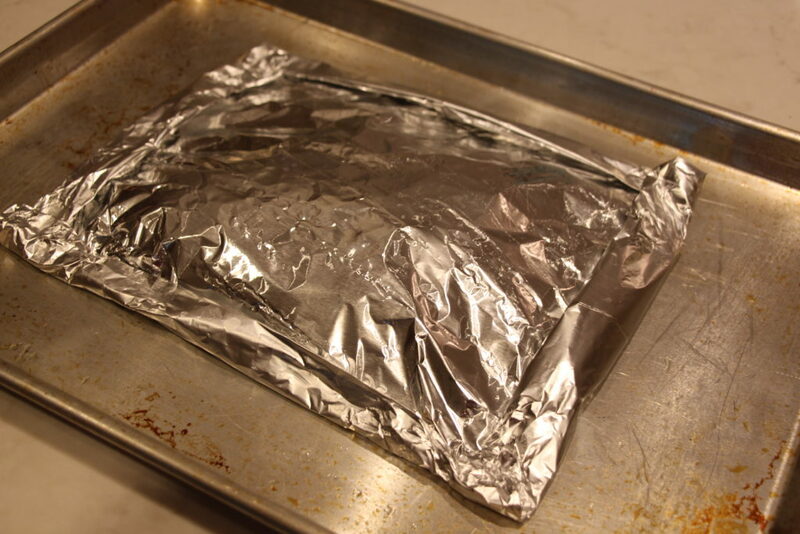 Lay 1 sheet of foil on a cooking sheet. Place salmon filets on top. 3. 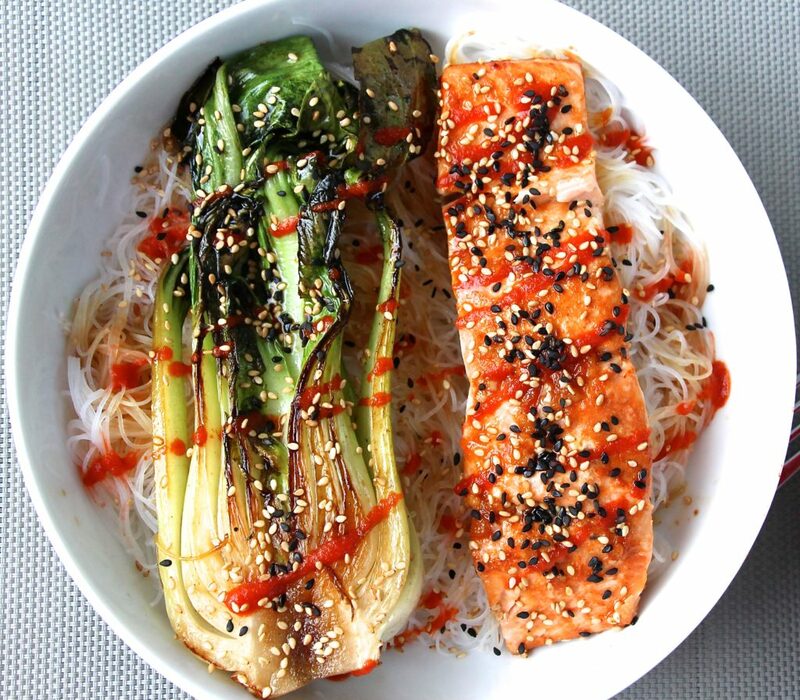 In a small bowl, whisk together: the olive oil, sesame oil, soy sauce, ginger, garlic, and sriracha. Spoon mixture over the salmon filets. 4. 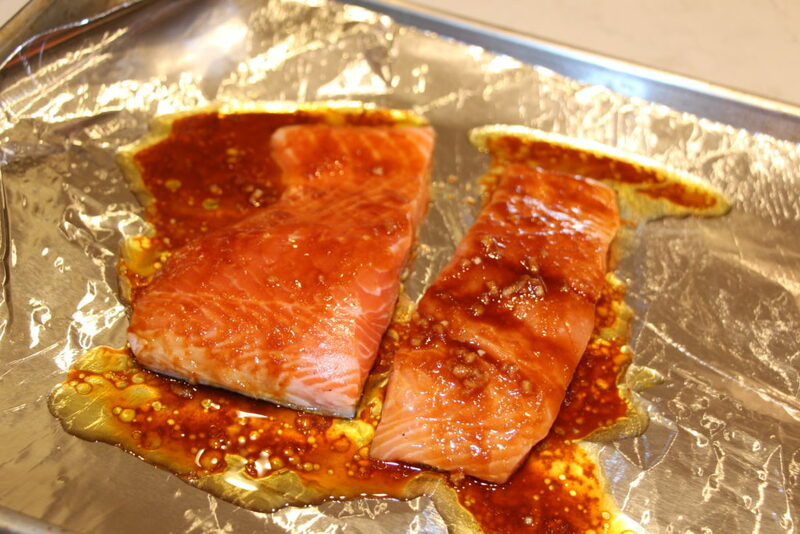 Place the other sheet of foil over the salmon. Fold up the sides of the foil to make a little packet. 6. Meanwhile, when there is about 10 minutes of cooking time left for the salmon– heat 2 tbsp. 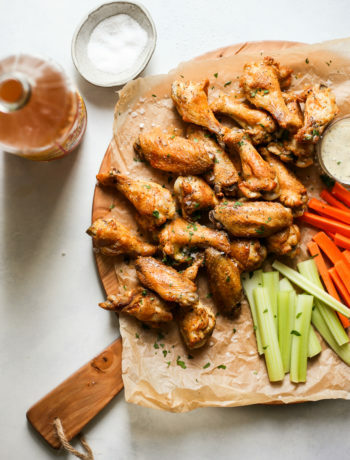 of olive oil over medium-high heat. 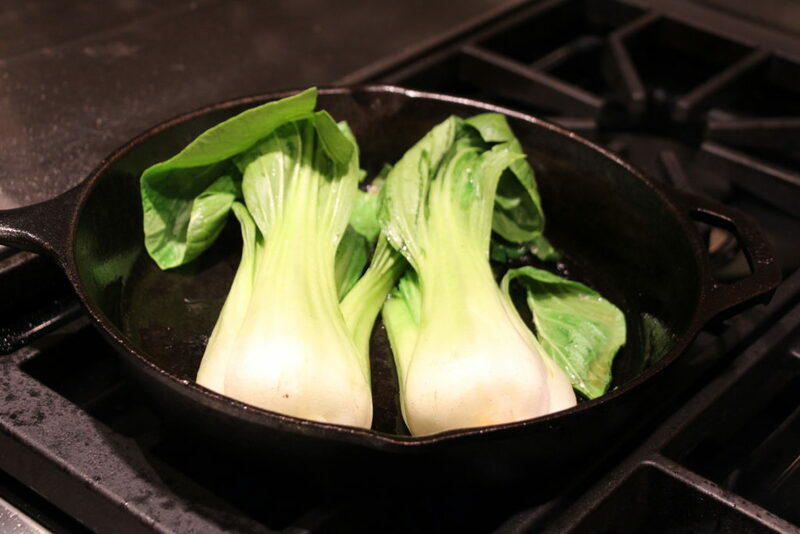 Sear the bok choy, face side down, for about 4 minutes and have a light char on them. Flip and do the same to the other side, about 3-4 more minutes. Right before removing from the skillet, drizzle with soy sauce and let cook for 1 more minute. 7. 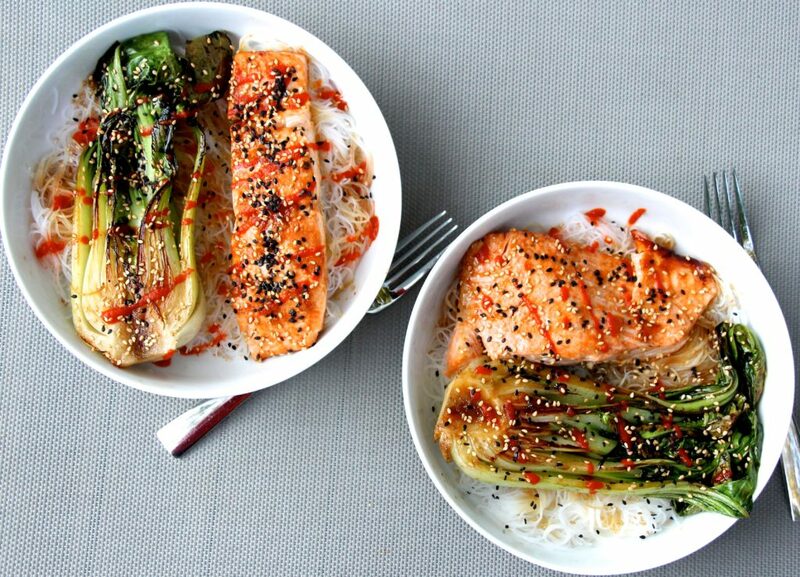 Serve the salmon and bok choy together, sprinkle both with toasted sesame seeds and drizzle with sriracha to taste. 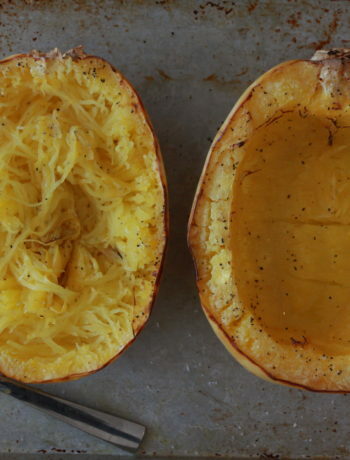 I served mine with vermicelli noodles, but also goes great with quinoa, rice, or cauliflower rice.